When armed conflict between bands of American colonists and British soldiers began in April 1775, the Americans were ostensibly fighting only for their rights as subjects of the British crown. By the following summer, with the Revolutionary War in full swing, the movement for independence from Britain had grown, and delegates of the Continental Congress were faced with a vote on the issue. 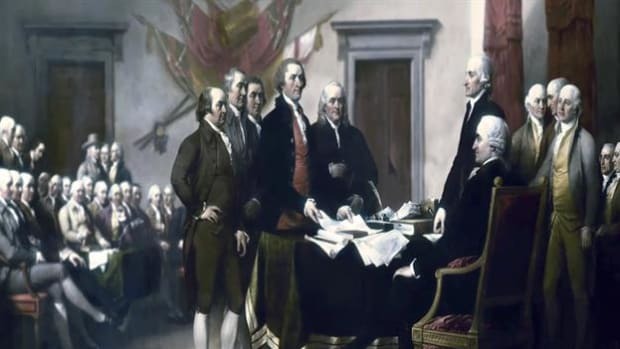 In mid-June 1776, a five-man committee including Thomas Jefferson, John Adams and Benjamin Franklin was tasked with drafting a formal statement of the colonies’ intentions. 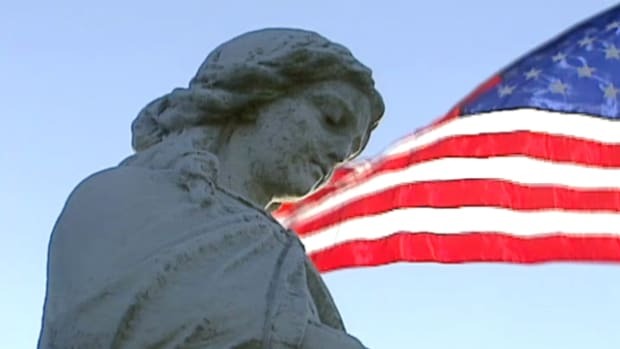 The Congress formally adopted the Declaration of Independence–written largely by Jefferson–in Philadelphia on July 4, a date now celebrated as the birth of American independence. Even after the initial battles in the Revolutionary War broke out, few colonists desired complete independence from Great Britain, and those who did–like John Adams– were considered radical. Things changed over the course of the next year, however, as Britain attempted to crush the rebels with all the force of its great army. In his message to Parliament in October 1775, King George III railed against the rebellious colonies and ordered the enlargement of the royal army and navy. 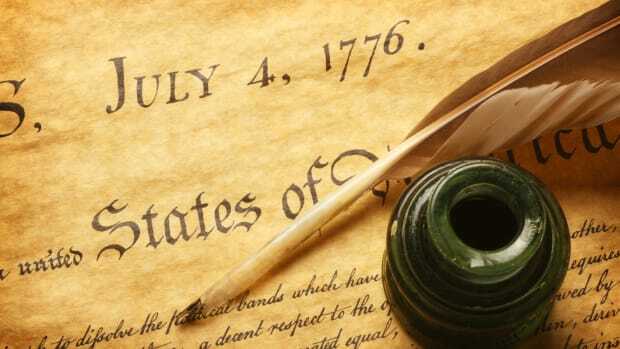 News of his words reached America in January 1776, strengthening the radicals’ cause and leading many conservatives to abandon their hopes of reconciliation. That same month, the recent British immigrant Thomas Paine published “Common Sense,” in which he argued that independence was a “natural right” and the only possible course for the colonies; the pamphlet sold more than 150,000 copies in its first few weeks in publication. Did you know? Most Americans did not know Thomas Jefferson was the principal author of the Declaration of Independence until the 1790s; before that, the document was seen as a collective effort by the entire Continental Congress. In March 1776, North Carolina’s revolutionary convention became the first to vote in favor of independence; seven other colonies had followed suit by mid-May. On June 7, the Virginia delegate Richard Henry Lee introduced a motion calling for the colonies’ independence before the Continental Congress when it met at the Pennsylvania State House (later Independence Hall) in Philadelphia. Amid heated debate, Congress postponed the vote on Lee’s resolution and called a recess for several weeks. 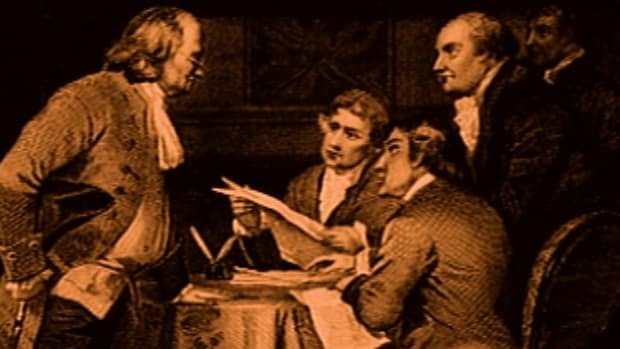 Before departing, however, the delegates also appointed a five-man committee–including Thomas Jefferson of Virginia, John Adams of Massachusetts, Roger Sherman of Connecticut, Benjamin Franklin of Pennsylvania and Robert R. Livingston of New York–to draft a formal statement justifying the break with Great Britain. That document would become known as the Declaration of Independence. 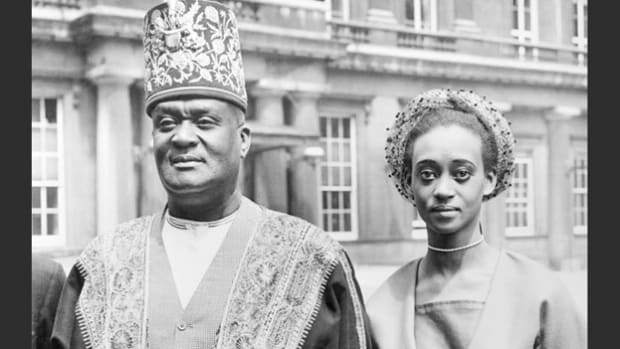 As the first formal statement by a nation’s people asserting their right to choose their own government, the Declaration of Independence became a significant landmark in the history of democracy. In addition to its importance in the fate of the fledgling American nation, it also exerted a tremendous influence outside the United States, most memorably in France during the French Revolution. Together with the Constitution and the Bill of Rights, the Declaration of Independence can be counted as one of the three essential founding documents of the United States government.